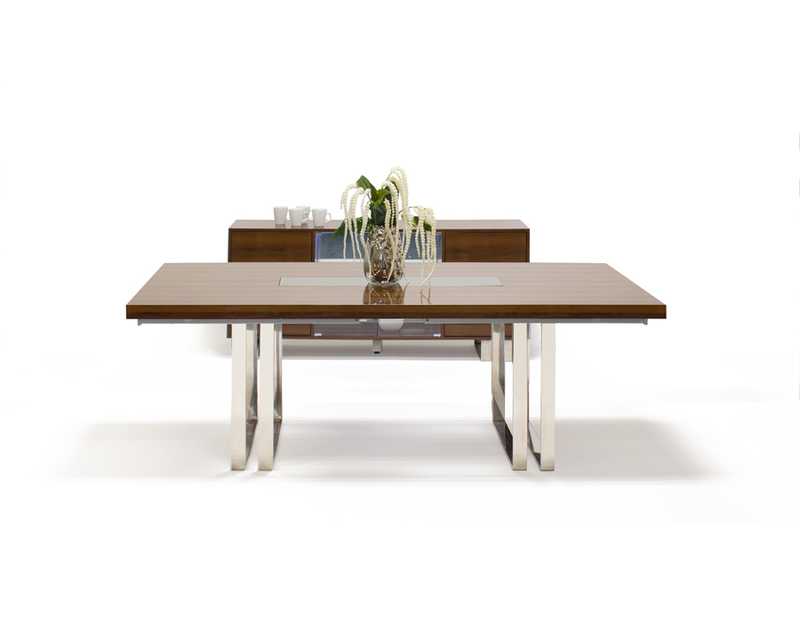 The Galway Dining Table in walnut lacquer is a contemporary, rectangular table, inlayed with a rectangular glass. 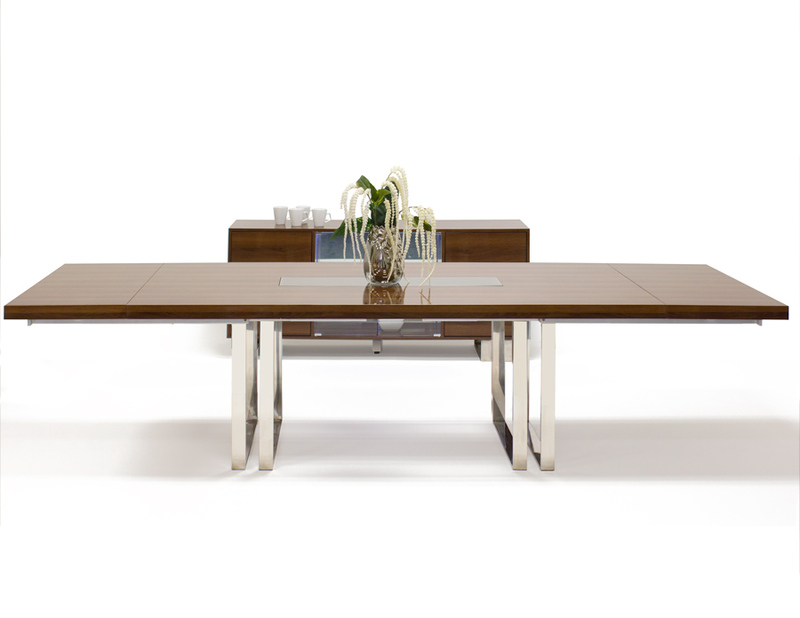 Resting on two square-shaped metal legs, this contemporary dining table has extensions on both sides. 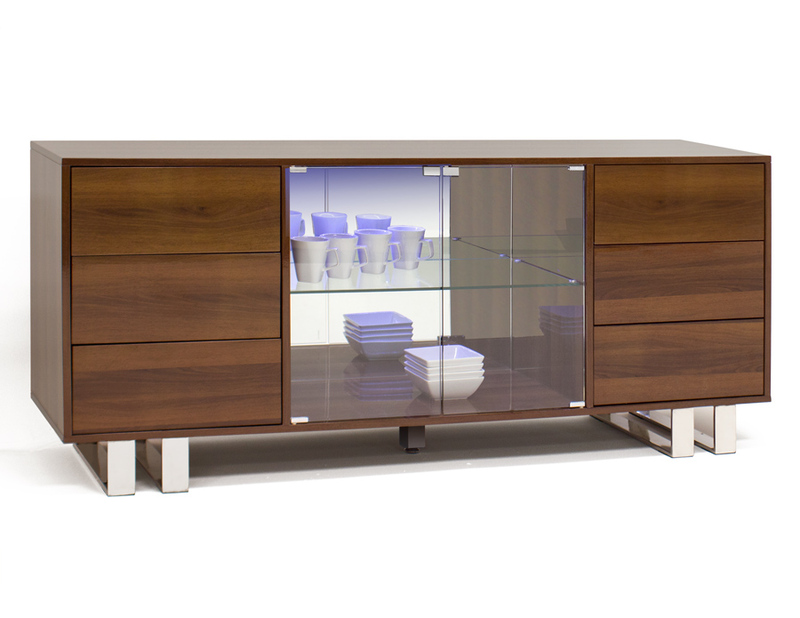 The Galway Buffet in walnut lacquer blends a beautiful finish, glass and metal into this modern buffet. The center has 2 glass doors that encase a glass shelf, mirror back and LED light. There are six push drawers. The entire case rests on square shaped metal legs. 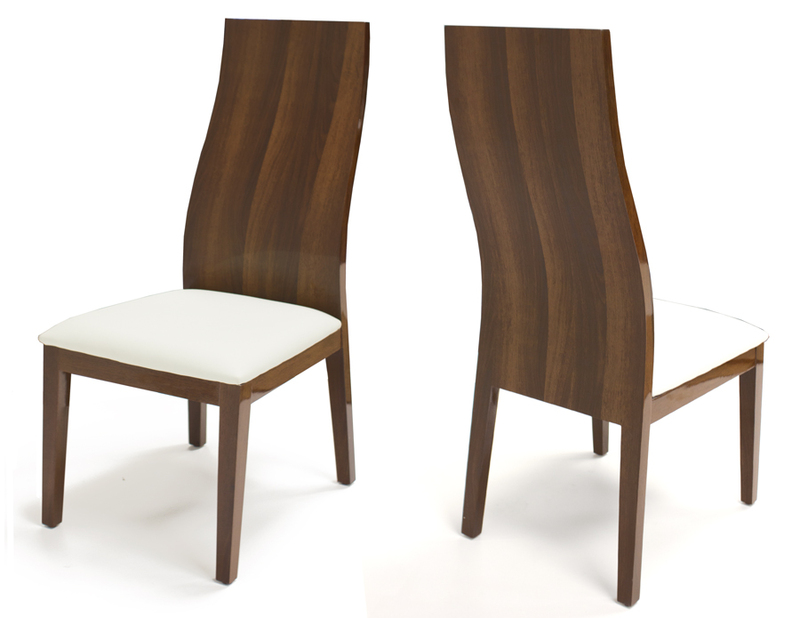 The York Chair is a beautiful contemporary tall seat back dining chair. 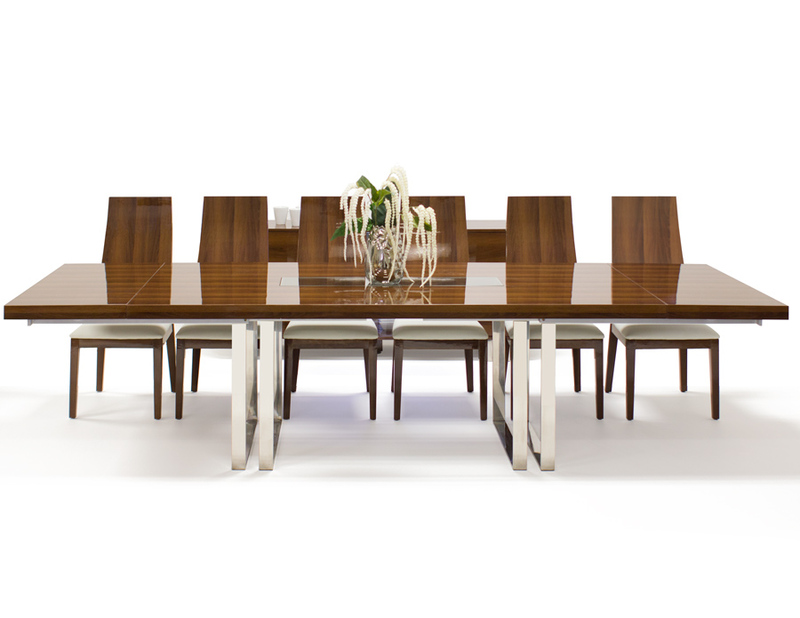 With a seat back that’s contoured for comfort, this dining chair epitomizes modern style with its blend of wood and bonded leather seat cushion. 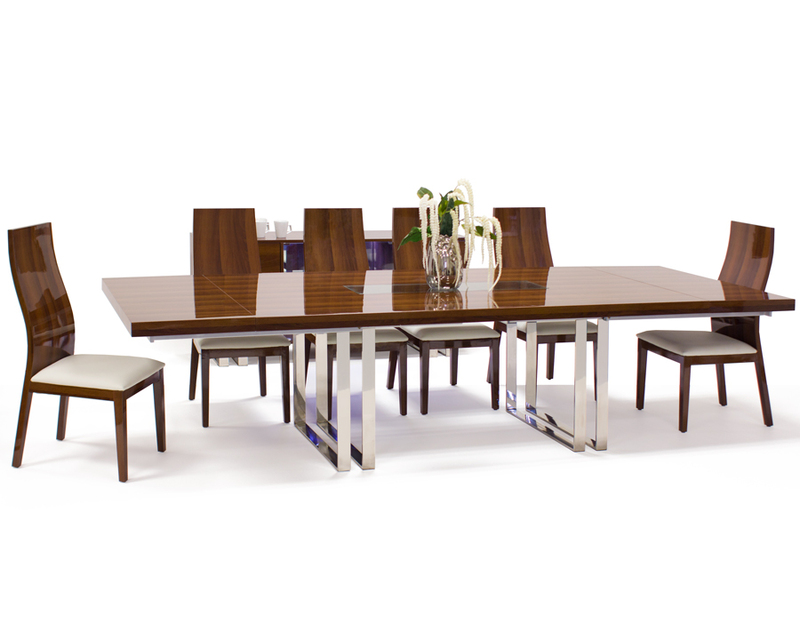 This chair is available in wenge, walnut with high gloss lacquer and gray oak with high glass lacquer. Stunning and elegant, this chair is the perfect complement to our dining sets.